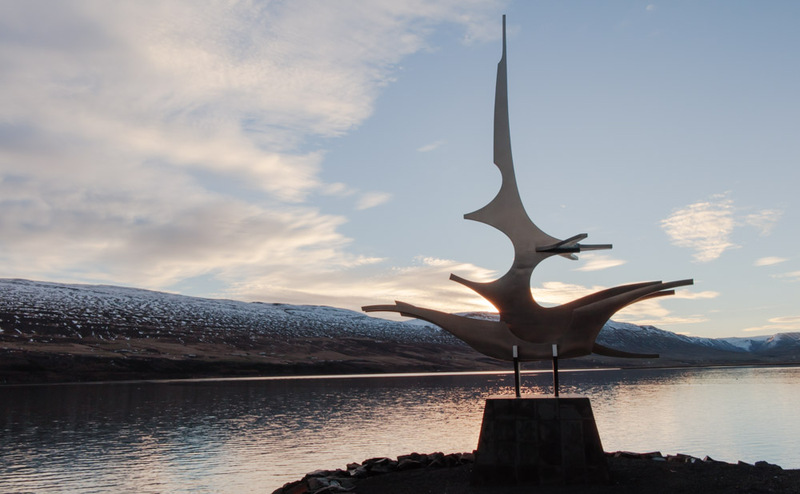 A slightly later start this morning meant we had time to see the sculpture by Jón Gunnar Árnason down at the waterfront before leaving Akureyi for the day. 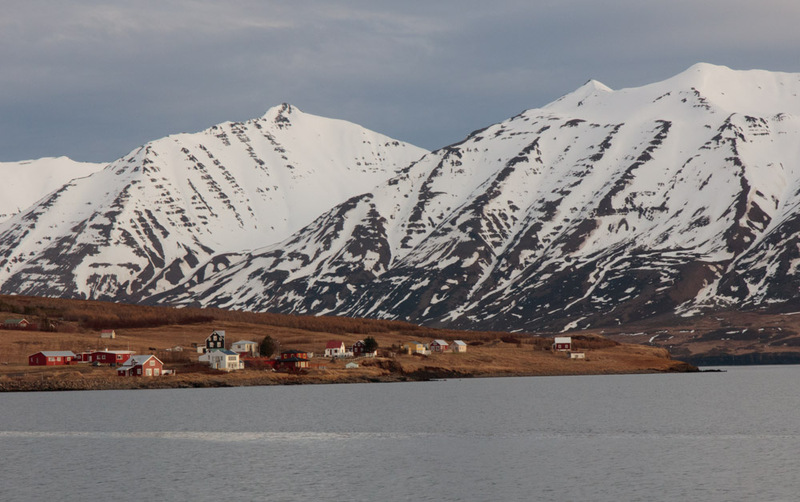 It is a 35km drive to the little village of Árskógssandur where the ferry to Hrísey takes off every 2 hours in summer for the 15-minute crossing. On Sundays and holidays, it must be ordered and the ferry is less frequent in winter. 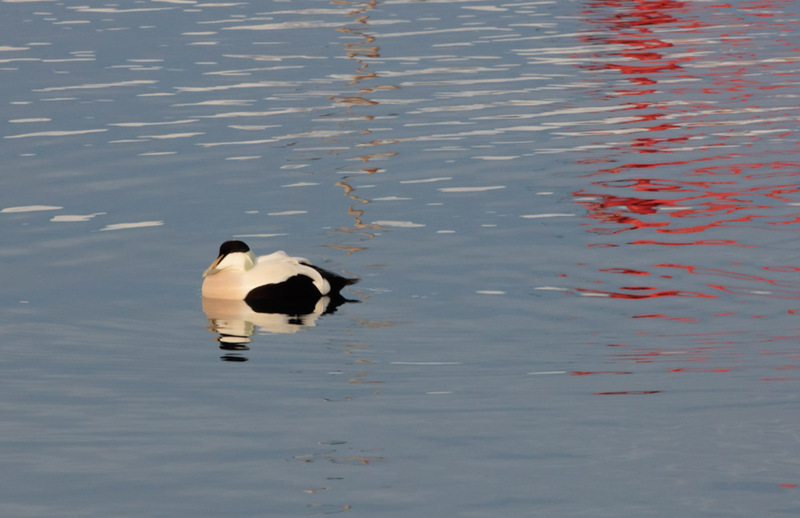 While waiting for it in the harbour we spotted some Eider Ducks, a juvenile Black Guillemot, a Long-tailed Duck and starfish in the very clear waters. On the island, we met our local guide who showed us around the small community including the museum dedicated to shark fishing. We were given a sample of dried salt cod which I found too leathery but enjoyed the traditional fish and rye bread lunch. Ptarmigan nest on the island and in summer it is a good place for bird watching with several footpaths you can follow. 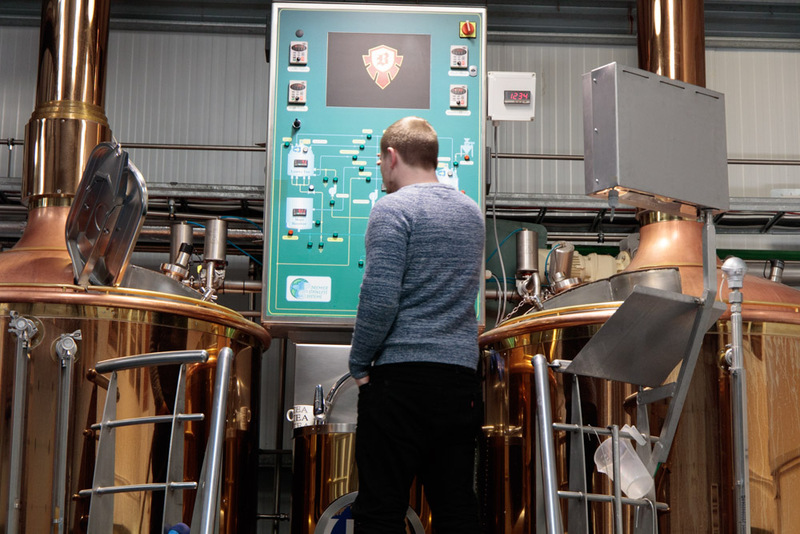 Back on the mainland we visited the first microbrewery in Iceland which began in 2006 and sampled the varieties of Kaldi beer produced there. 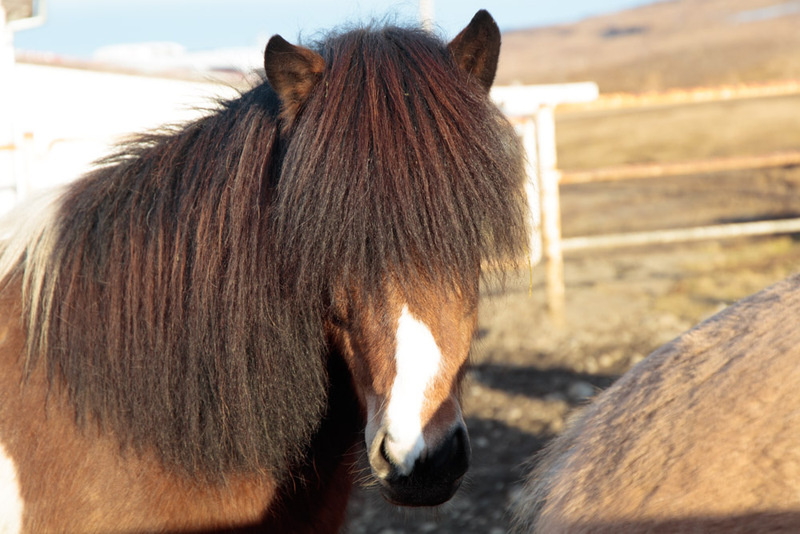 It was then onto a farm where we met Icelandic horses and sheep. We were served slices of Marriage Cake which has a crumble-like consistency and is filled with rhubarb jam and were entertained by our guide from Hrísey who also turned out to be an opera singer. 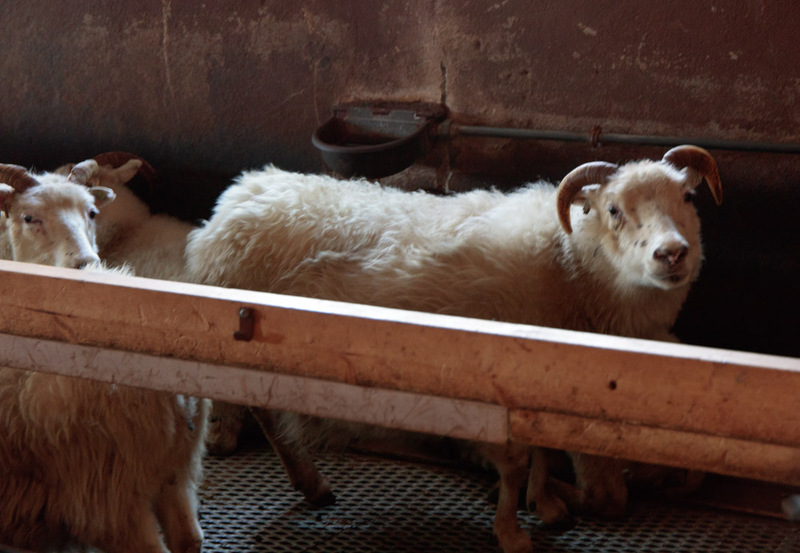 We heard a traditional Icelandic song and a rendition of ‘O Sole Mio’. On the way back to the hotel in Akureyi we debated whether conditions would be right to see the northern lights that evening. Iceland Ring Road: an enchanted evening. Absolutely love your photos! 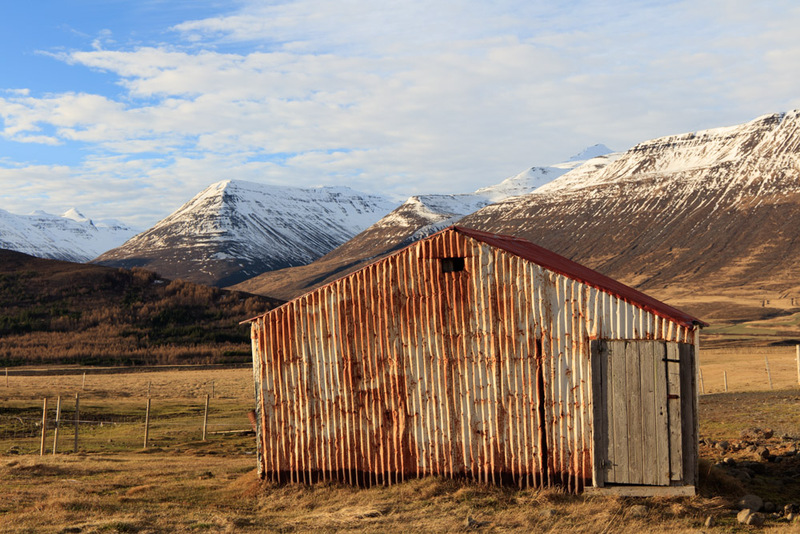 The one with the mountains in the background and scattered houses in front is exactly what springs to mind when I think of Iceland.